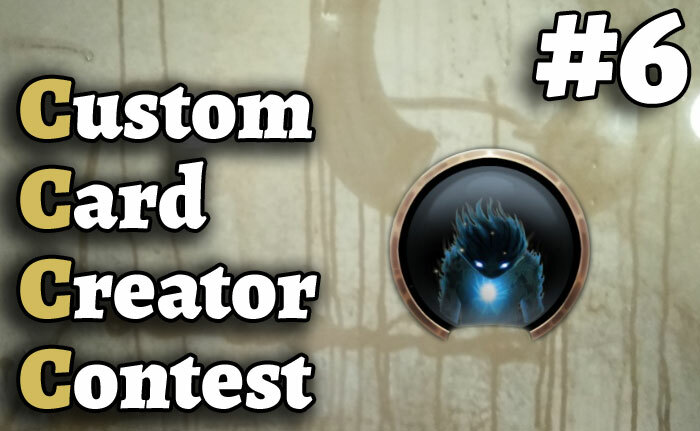 The 6th Custom Card Creator Contest focused on creating your own card from some of the characters in game. The CCCC is back! It has been a while, I know. But now that the expansion has dropped, the creativity has run anew. Not just for me, but also for you! There are obviously a lot of new mechanics I could capitalize on for this contest, but since the new cosmetics caught my eye, I decided this would be a perfect time for an avatar contest. Choose an avatar from the cosmetic section (not one that is already a card!). Then, center your card around it. Simple enough? Great! Goals All you have to do is make a card from the website below that best follows the three contest rules. That is it! Note: If you are using art from an outside source, please link the artwork in the form. Custom artwork is always welcome, encouraged, and can earn you points. It is always satisfying to see a balanced card. Will be judged out of 10 points. The more I see the creativity shining, the more the points will shoot up! Will be judged out of 30 points. The 3 best cards will be awarded with ingame rewards! It is like a dream come true! Special thanks to Atmaz and the Abrakam team for providing the winners with delicious prizes. That is all for me. See you at the results!